American Hose & Hydraulics provides quality hydraulic and industrial hose services in New Jersey and the East Coast States. We are specialists and innovators providing quality and value in the hydraulic hose and fittings field. 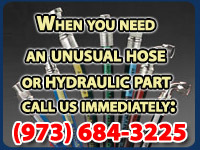 When you need an unusual hose or hydraulic part immediately, call American Hose and Hydraulics now. 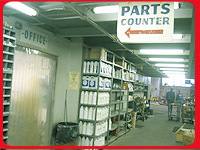 We have a known reputation for speedy service and providing quality hydraulic products. For Job Opportunities Please E-mail Your Resume to jobs@americanhose.net or Contact Us. Services Your interested in * - Select - "Hose Shop" "Cylinder Shop" "Pump Shop" "Pump Valve Repair" "Truck Repair" "Machine Shop" "Wedding Shop" "General Inquiry"
"Your Service is GREAT and you Rock! That's why I stick with you guys. Thanks for taking care of my hydraulics needs. I'm at peace now knowing you are warranting all your work. " "Once again, it is my pleasure to commend the service persons you contract with. I received superior service from “Joe” from the repair shop a month or so ago, when the hydrostatic pump on my excavator was overheating. " "Over the years that I have had the pleasure to do business with your company." "I need to thank you again for the excellent service I received from your Pump Department. I am thrilled with my equipment performance, and Bill was so pleasant and very professional."